Finding reputable Ford dealers in Milwaukee who offer the right selection of cars for sale is easier said than done. Milwaukee is a large city with all sorts of different dealers to choose from, so how are you supposed to tell which ones will have your best interest at heart and help you find the right car for your situation? You should shop with a trusted local Ford dealership in Milwaukee that has a strong record for matching prospective car buyers with vehicles that are a great fit for their situation! Where can you find such a Ford Milwaukee WI dealer? Ewald's Venus Ford is the car seller you’ve been looking for! We pride ourselves in offering a great selection of fairly priced new and used cars to suit all sorts of driving needs. From compact cars that will help you save big on gas, to fully loaded work trucks - you’re sure to find a vehicle that fulfills all of your wants and needs. Other Ford dealers in Milwaukee might try, but they just can’t keep up with our extensive vehicle inventory and commitment to quality customer service. The care you receive at our dealership is just as important as the cars we sell, so we feature a staff of courteous Ford experts who will assist you throughout the entire buying process. Our low-pressure shopping environment means that you’ll have plenty of time and room to shop at your leisure. Deciding on your next car, truck or SUV isn’t something that should be rushed - and you’ll be free to take all the time you need to decide! Here at Ewald’s Venus Ford, we’ve pledged to make car buying as easy as it can be. Find great deals on a wide selection of new, used and certified pre-owned cars at your local Ford dealership near Milwaukee. When you’re searching for a robust work truck that will work as hard as you do, there’s only one obvious solution. You need to get your hands on a top-notch Ford pickup truck! Ford is one of America’s oldest and most respected names in truck making - and for a good reason. Ford trucks are built to last, with incredible build quality and a legacy for reliability that the competition just can’t match. With a Ford pickup truck at your disposal, you’ll be ready for whatever challenges the road might bring. Which of our many excellent for trucks for sale is the right fit for you and your family? When it comes to iconic American pickup trucks, one stands above all the rest. The Ford F-150 is a timeless tradition. This fantastic vehicle has been serving Wisconsin drivers well ever since it first came into production back in 1975. Now it’s your turn to find out what all the fuss is about! Our F-150s are brimming with desirable features. A Ford SYNC audio system will let you easily connect your mobile devices via Bluetooth for seamless music listening and hands-free phone calls. Powerful 6 and 8 cylinder engines power this amazing vehicle, and they offer plenty of horsepower to get you through your most demanding jobs. From towing your boat to the lake to hauling equipment to the job site, an F-150 can handle it all with ease. 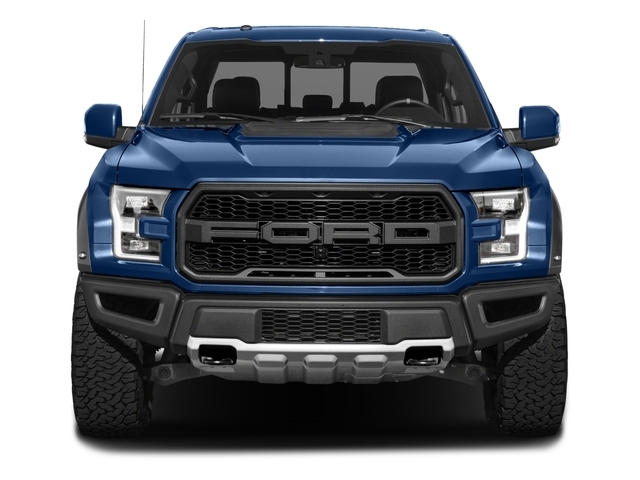 We carry the F-150 in many different configurations and colors, so there’s one in stock that will satisfy all sorts of different buyer’s needs and preferences! Call today and schedule a free test drive of any of our excellent Ford vehicles. The ideal Ford pickup truck for you is right around the corner, all that’s left is for you to come and pick it out! For those who need a spacious family vehicle that’s packed with high tech features, we carry a variety of Ford SUV models for you to consider. From the innovative and forward thinking Ford Edge to the cavernous Ford Explorer, there’s a Ford SUV to suit all sorts of WI drivers. If you want a vehicle that has tons of seating space and the latest high tech and comfort features that Ford has to offer, the Ford Explorer might just be the vehicle you’re looking for. This Ford SUV is jam-packed with an array of premium features. Third-row seats offer extra passenger room when it’s called for, and they fold away to help maximize cargo space! A rear backup camera will ensure that you always know what’s behind you when backing up. Available four-wheel drive will let you drive with confidence in all kinds of terrain and road conditions. Remote start will let you bring your SUV to life before you even leave the house - it’s great for warming up the car on cold winter mornings! Find your perfect Ford SUV model and plenty of other Ford cars for sale at Ewald’s Venus Ford.